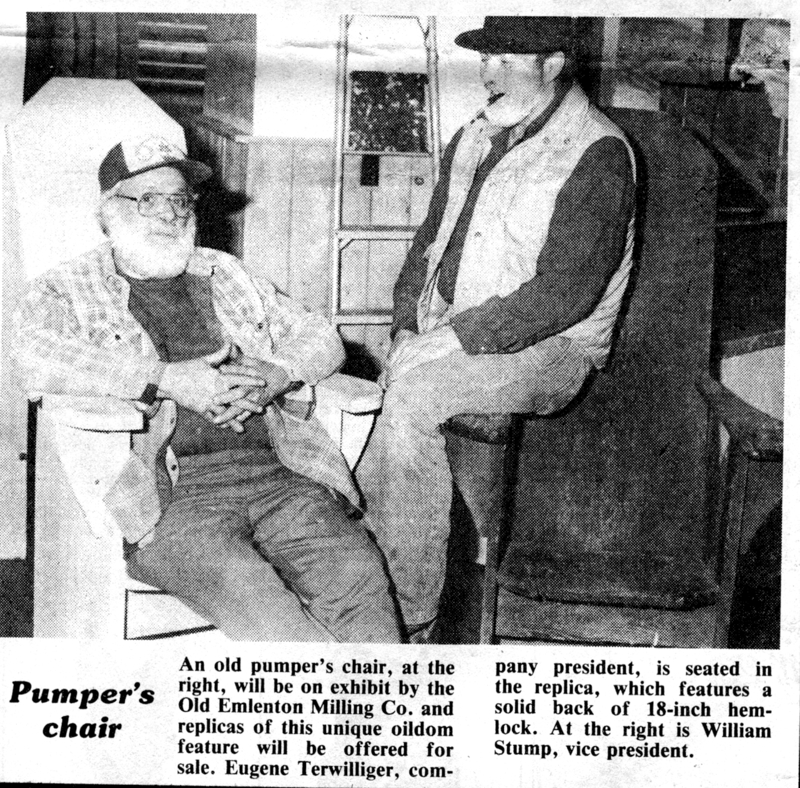 Lawrence Sanata writing for the Herald 8/25/1989 says: Twig still operates the hardware store outside the Mill (Main Street storefront Emco Mills) Don’t let the appearance, cluttered as it is, fool you, Stump noted, Terwilliger knows where almost everything is. Weeks were spent cleaning the Mill. Among the items carted out of the building were about 200 tons of molded feed, and 80 dump truck loads of broken appliances- “Twig does handy jobs around town- and he’s cheap.” Stump said. After convincing the local rodent population to look elsewhere for shelter, the owners began renovating the interior. That included placing new structural supports in some parts of the building. Today the Mill is home to a delicatessen, hardware store and 14 shops, selling everything from candles to canoes, and potpourri to pumper’s chairs.